Neil Roberts, Head of Digital. 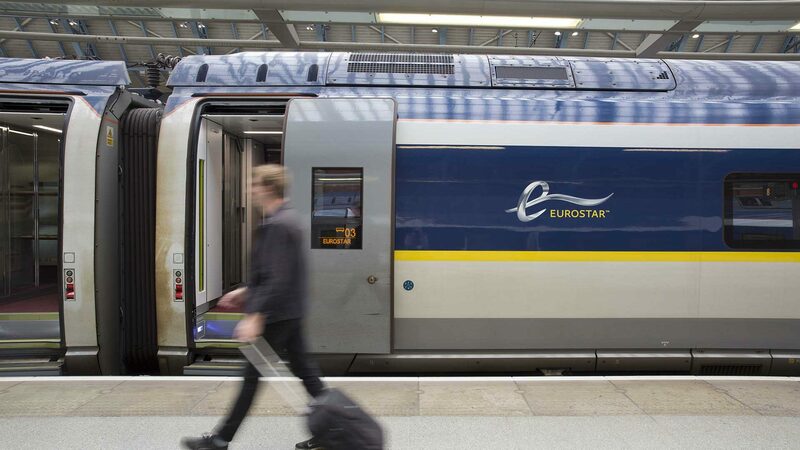 High-speed rail service, Eurostar, connects London with France and Belgium through the Channel Tunnel, linking Avignon, Brussels, Lille, Lyon, London, Marseille and Paris. It has carried more than 160 million passengers since it started operating in 1994. The current Eurostar train operates at speeds of up to 300kph. In 2012, Eurostar announced a £700 million investment in its fleet, with the purchase of state-of-the-art new e320 trains which would carry around 900 passengers at speeds of up to 320kph, and the complete upgrade of a number of its existing sets. What did Eurostar want to achieve? This investment would add new digital capabilities, including electric sockets, Wi-Fi and an on-board entertainment system to offer customers an ever better experience. As part of the project, Eurostar asked its customers what would most improve their travel experience, and the most popular request was on-board maps, which would let passengers track their journeys and explore points of interest along their routes and at their destinations. Eurostar responded by including a mapping service in the new entertainment system for its trains, alongside films, TV shows and documentaries. 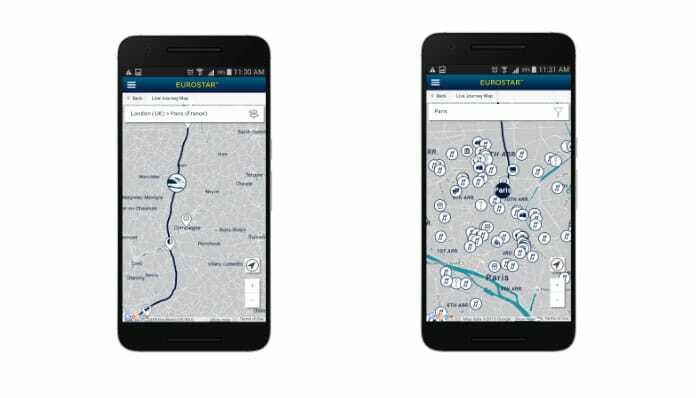 Eurostar wanted the service to be more than just maps and the train’s location, and inspire travelers to look for more information, such as recommendations for great local restaurants and scenic routes for walking from the station to their hotel. Eurostar turned to Snowdrop Solutions to build the mapping solution, based on Google Maps and using Google Maps APIs because of its familiar interface, its comprehensive information about locations throughout Europe, its availability in different languages and its provision of the best tools for customizing map deployments. The rest of the project was completed with the collaboration of Nomad Digital (to build the Wi-Fi service) and GoMedia (to provide the on-board entertainment platform). The development was based on an offline map, an innovative deployment in the european train sector. This is the first time that an offline map based on Google technology is commercially used and involves a challenge for the UX strategy development: build a customized look and feel for the map that respects the Google’s guidelines at the same time that attracts the customers to use it.